Food producers, sellers, distributors and even takeaways need to take account of how they transport their products. There are a number of legal and quality based considerations to take into account. Here are six that we’ve identified. If you are shipping several different food items at once, or your products are likely to come into contact with any others during the logistics train, then you should ensure that they are sealed. 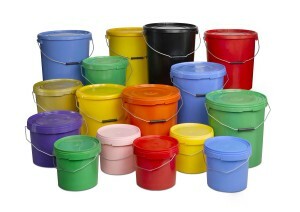 Tupperware containers and food-grade plastic buckets with lids are perfect for this. One way of controlling costs for transport of perishables is to re-use containers. Your ability to do this will depend on who you are sending products to. If you are filling regular orders to distributors, restaurants or even end-consumer, then you may be able to reuse containers or pallets and collect them when the customer is finished. If this sounds like your business model, then you should consider investing in some heavy duty containers that will stand the test of time. On the other hand, if your business plan calls for more one-off or infrequent orders, then this is obviously going to be more difficult. It might make more sense for these companies to purchase cheaper containers and look into options for environmentally-friendly containers. If your product is frozen or otherwise sensitive to temperature changes then this is crucial. The law is also pretty stringent in this area as well. Small businesses are unlikely to have their own distribution networks, so using well established and trusted operators that specialise in the frozen transport industry is a must. 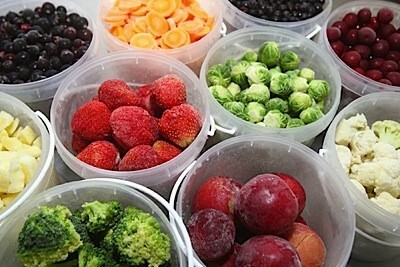 As well as temperature, perishable food is also sensitive to time. One of the best examples of this is transporting fish and seafood. Once out of the sea, these products immediately start losing their freshness. In short, the quicker the food gets to the plate the better. For businesses operating in an industry where freshness is imperative, it may be better to organise your own transport systems, instead of having to rely on external operators. Conversely, these operators may have more efficient modes of transit than you could hope for. Using tamper evident containers is crucial if you want to make sure that your product reaches its destination in safe condition. Push-down tamper evident lids are a cost effective solution that gives both you and your end-customer confidence in the product. Only certain plastics are widely accepted as being safe for food-contact. Certain HDPE and LDPE plastics are ok, but one of the most widely used food-grade plastics is Polypropylene (PP). There is a lot of interest from manufacturers and retailers in using recycled PP in food packaging. And although recycled PP is regularly used for some buckets and pallets, it is has so far proved impossible to recycle PP into food grade packaging. Make sure that any Polypropylene containers that you use for food transport are not made from recycled sources.